Save money and calories by making your own Chinese takeout! 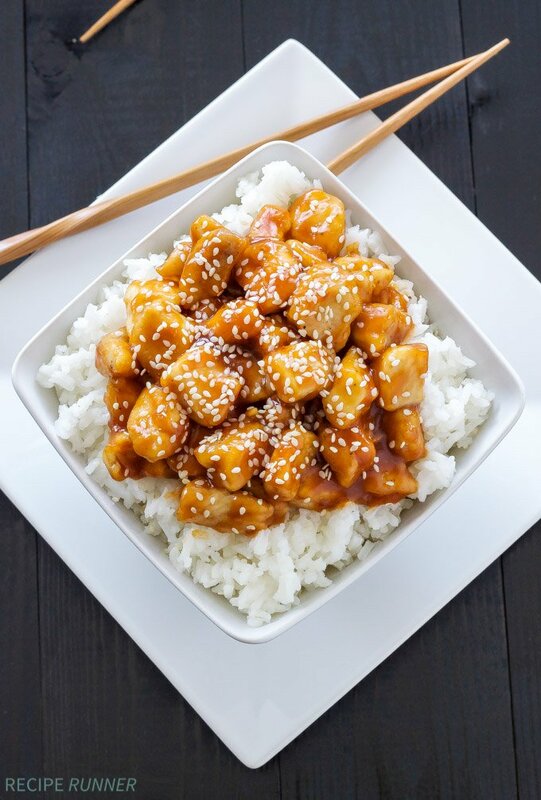 This Honey Sriracha Sesame Chicken is equal parts sweet and spicy and over the top delicious! Who likes takeout food? If you said no I don’t believe you. Seriously, who doesn’t love a box full of delicious comfort food. Whether it’s Chinese, Greek, Mexican, or a juicy burger, I love it all. Out of all the takeout food options Chinese is probably my favorite. I don’t know if it’s the cute takeout boxes, the crispy, salty, fried food, or the challenge of trying to eat it with chopsticks, something about it draws me in. 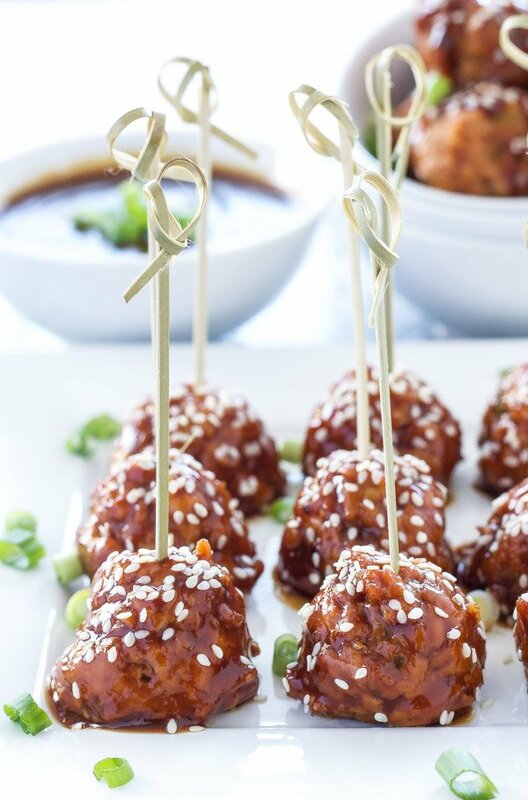 Honey chicken is one of my favorites, I love the sweetness from the honey! To save myself both money and a boatload of calories I decided it was time to make my own version at home. 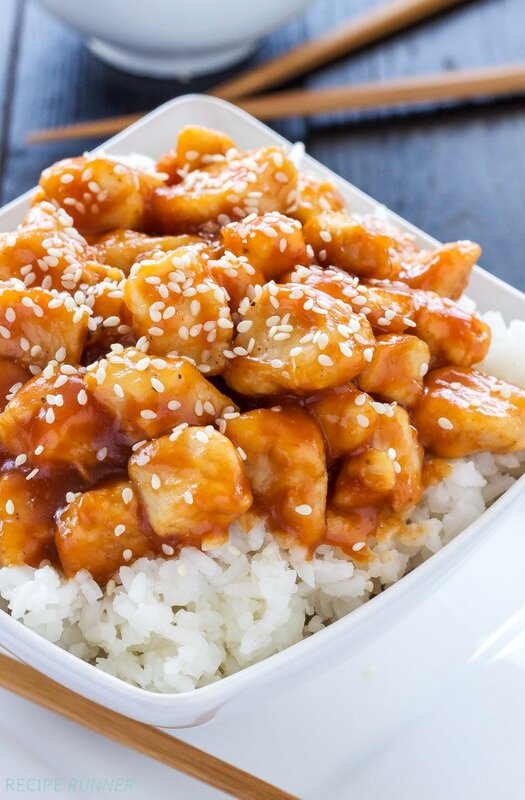 This Honey Sriracha Sesame Chicken will give any box of Chinese takeout a run for their money and it will do it with a fraction of the calories and fat! 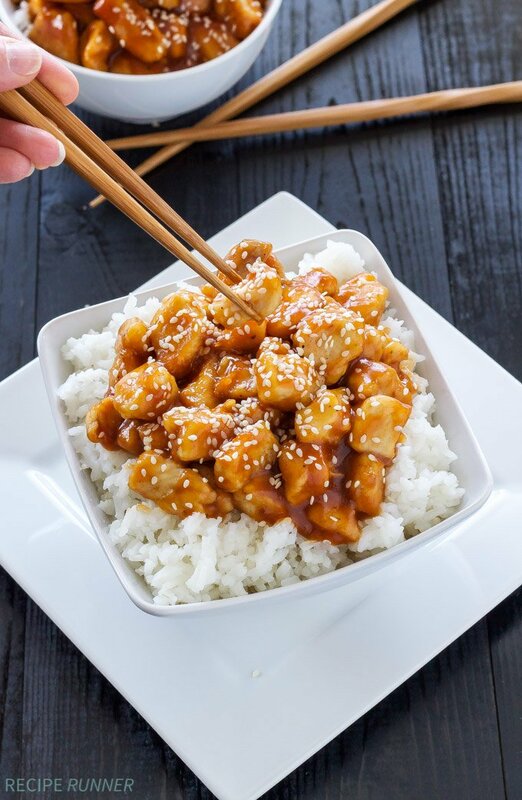 Making the Honey Sriracha Sesame Chicken is super easy and probably takes the same amount of time if not less than placing your order, waiting for the food, and going to pick it up at your favorite restaurant. Start by dicing two large chicken breasts into about 1 inch pieces. Throw them in a resealable freezer bag along with salt, pepper, and some cornstarch, then seal the bag and shake it up until all of the chicken is coated. The sauce of course is the most important part. This sauce is both equally sweet and spicy. The sweetness comes from ketchup and honey while the heat comes from the sriracha. Depending on how spicy you like your food you can add more or less. I found that using a tablespoon of the sriracha gave it plenty of heat, but still allowed you to taste the other flavors with out burning your tongue off. When it comes to adding something spicy to a meal, I always start out using less than what is called for, taste it, then add more if necessary. You can always add more, but you can’t take it out. To keep the calories to a minimum I stir fried it in a minimal amount of oil, no deep frying or heavy breaded coating on this chicken! To please my husband I served the chicken over white rice, but brown rice or quinoa would be equally delicious! The next time you get a craving for Chinese takeout try making your own instead! Not only does it taste better, but it’s far better for you! Add the cup up chicken breasts, salt, pepper, and 2 tablespoons of cornstarch to a freezer bag, seal the bag and shake it until all of the chicken is coated in the cornstarch. 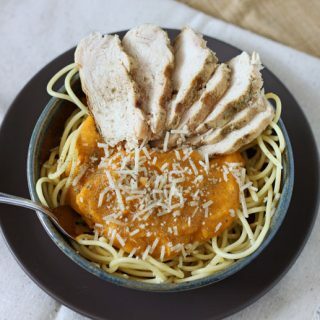 In glass measuring cup or bowl whisk together all of the sauce ingredients except the 2 tablespoons of cornstarch and 2 tablespoons of water. In a small bowl whisk together the 2 tablespoons of cornstarch and water until the cornstarch dissolves and the mixture is smooth. Heat a large wok or non stick skillet on high heat with the oil. When the wok is hot swirl the oil around then add in the chicken. Spread the chicken out in a single layer and let it brown for a couple minutes on one side. Using a wooden spoon toss the chicken around in the wok until it is fully cooked. Pour in the honey sriracha sauce into the wok and toss the chicken in the sauce until it is coated. Add in the cornstarch and water mixture and stir everything together until the sauce thickens, about 2-3 minutes. 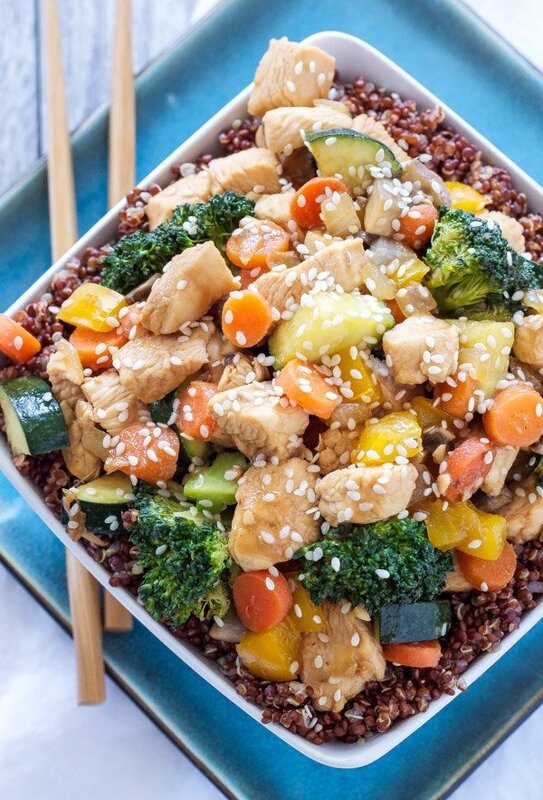 Serve the chicken on top of rice or quinoa and top with sesame seeds. 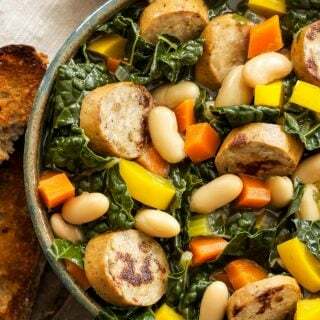 Love this recipe and will probably try it! I have everything in the house except for the cornstarch...dumb question (because i know you need it for Chinese cooking), wonder if it could be made without the cornstarch? Hi Caren! I'm glad to hear you like the recipe, I love it! I've only tried making this with cornstarch because I like how thick and sticky it makes the sauce. If you didn't add it I'd be afraid the sauce would be too runny. However, I did do a little reading and read that you can replace flour for cornstarch, but you may need to use a little more. I haven't tried this out so I can't tell you for sure how it will turn out. If you do try it with flour, I'd love to hear about the results. Good luck! Thank you so much for trying out the recipe Jenni! Love when readers give me feedback! The sauce was my favorite part for sure. 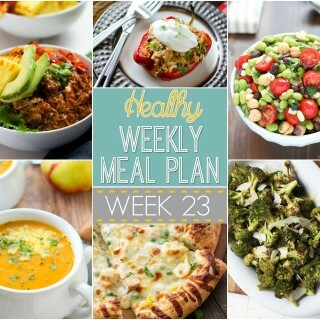 OMG I am drooling over this recipe!! I need to make this! STAT! Danae - I am so in love with homemade Chinese meals. I've made a few recipes from Chungah from Damn Delicious, but I'm going to have to try this recipe out. We love Sriracha in our house! Thanks Erin! Homemade Chinese food is the best, especially when sriracha is involved! I need to add this to our menu asap! Love the honey sriracha combo! Thanks Jessica! You'll love it! This looks phenomenal! 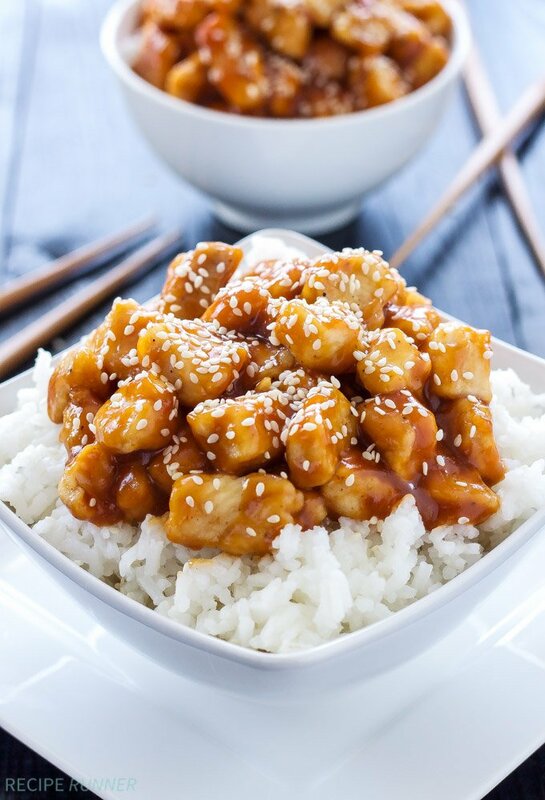 I've been wanting to try making sesame chicken at home, since it's one of my favorite dishes to order as take-out. I love that this version is lightened up from what you'll find in restaurants. I'm so happy to hear you loved the recipe! 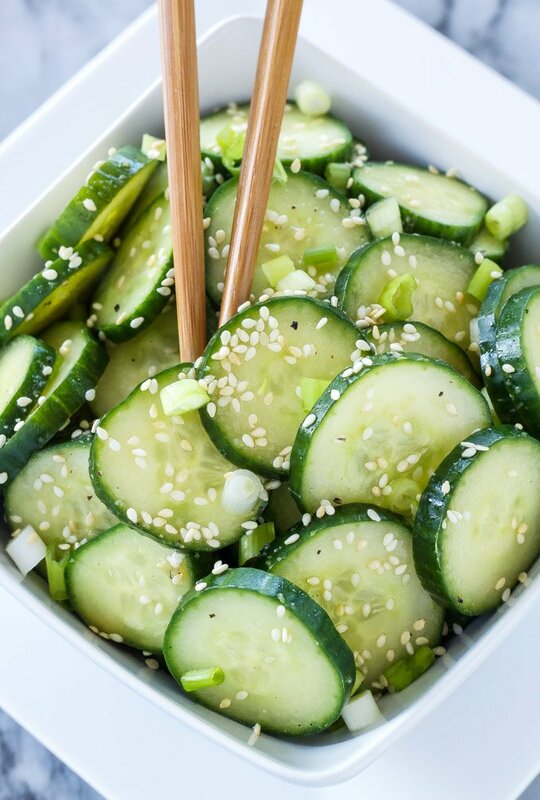 Whenever I get a craving for Asian food, this is one of my favorite recipes to make! Thanks so much for trying the chicken and I'm glad to hear you enjoyed it!